Friday morning, 8:30 am. The beach is almost empty at this time. The “Playa del Duque” looks nearly untouched: the sand floor is smooth and is formed by the shimmering water. The sun is still low, letting only a few rays between the palm trees through to the beach. This is a perfect setting for the CrossFit athletes from Sweden and Finland, to start their first workout of the day. 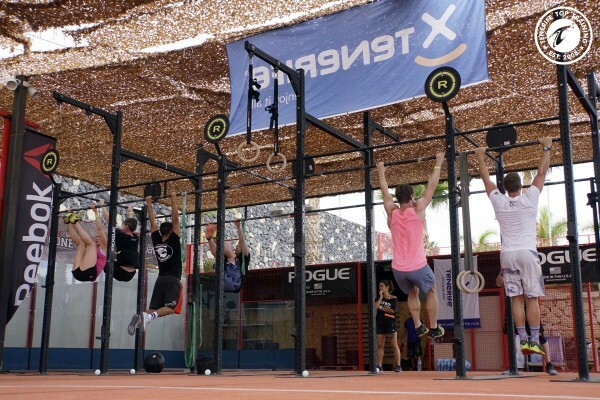 A total of 16 athletes from eight different CrossFit-Boxes are at the ready. They form part of the Swedish sports agency “INVICTUS” and Tenerife Top Training Fam (Familiarization) Trip. 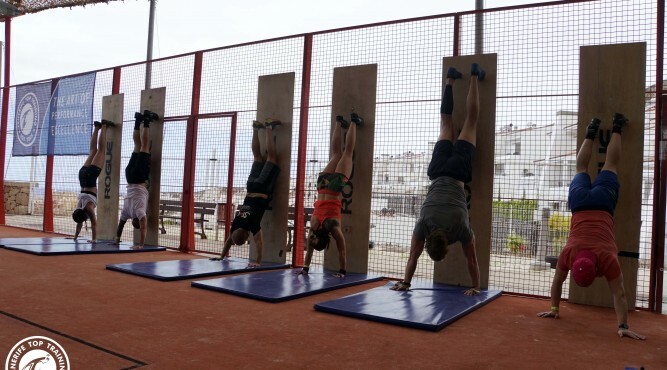 INVICTUS organizes sport trips, bootcamps and camps in the area of CrossFit, triathlon and diving. The team members visited the Tenerife Top Training (T3) for four days to see and experience the possibilities by themselves before they arrive with their own clients for camps. During their stay, a normally six day’s lasting CrossFit-Camp was simulated. CrossFit – Train like a soldier! The sweat runs down in streams, the faces are distorted. 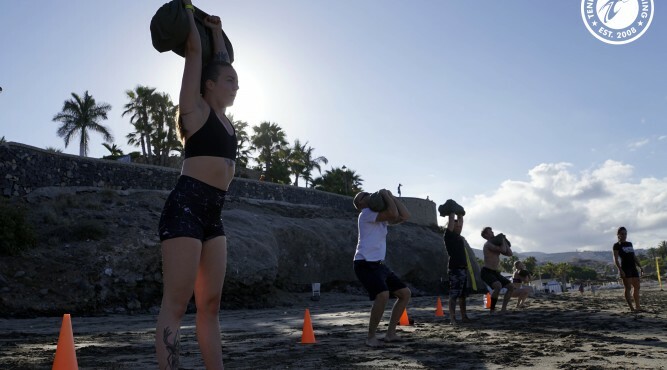 “Come on, come on,” instructs Coach Javier, “go ahead!” The beach workout includes a stretching, an easy run along the water, followed by technical exercises, right up to the central WOD – workout of the day. 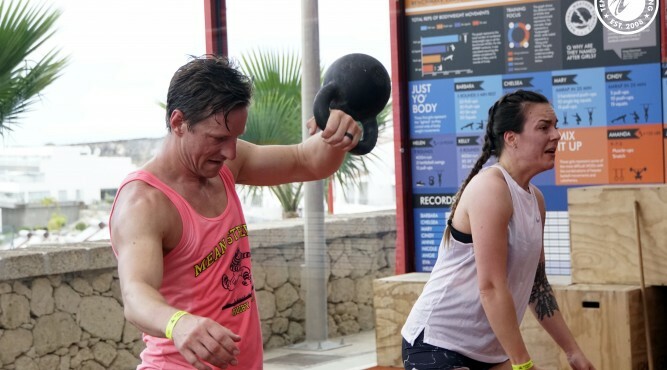 During the WOD, the athletes have to carry sandbags on their shoulders, make squats with the sandbags, throw them over their shoulders and run again. Although the training gives the impression of a military workout, there are still jokes and funny sayings between the exercises. At the end of the workout everyone falls into each other’s arms. After returning to the hotel, the athletes have some time to eat and personal downtime. On this day they will do their second workout, the Strongman WOD, in the CrossFit-Box of the T3 at 4 pm. 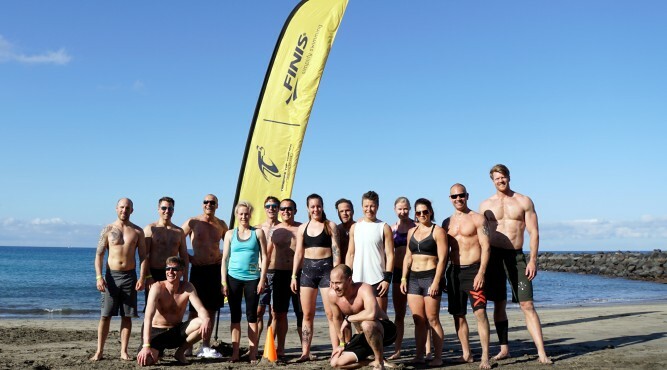 Whether on the beach, under water, outdoors or in inside the box: the hard training of the INVICTUS agency seems to make the trainers truly invincible. 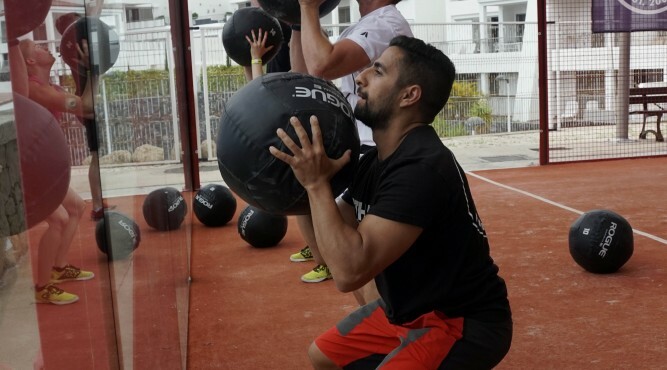 Read more about CrossFit for Beginners!